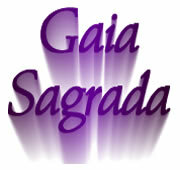 Gaia Sagrada is an eco-friendly community and retreat center. 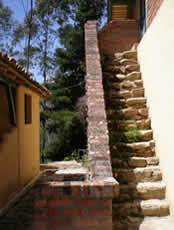 Gaia Sagrada is an eco-friendly community and retreat center. 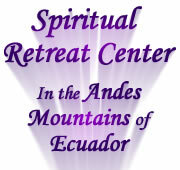 Along with retreats and workshops, a spiritual community is at the core of it all. Those who live and work at Gaia Sagrada Spiritual Retreat Center are the people who make your stay wonderful, smooth and transformational. Alternative building is a process at Gaia Sagrada, showing by example things that are functional, efficient and unusual types of building. Included future projects are straw bale, corn cob, bottle, and adobe houses, using well-known alternative ways of building. These methods are tried and true, and stand the test of time. We would like to share these methods with the Ecuadorian community around us and inspire them. 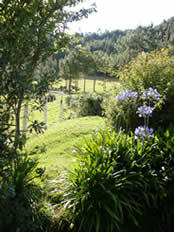 Another process at Gaia Sagrada is permaculture and sustainable gardening. Organic farming is a necessary part of any self sufficient community. Gaia Sagrada is making the best possible use of all land features, water and working with the particular types of plants that grow in this Andean climate in the mountains. Capturing rainwater and running it through a bio-sand filter, a natural water cleaning technique, is another alternative building method Gaia Sagrada is using to work within its prime directive, "Live gently on the Earth." Solar hot water and solar heat are also a large part of Gaia Sagrada's goals in order to cut down on fuel consumption. These are being built in several places as time goes on. The solar hot water and heat are easier to create than you might think. Solar hot water can be created just with black tubes on the roof of a house, and solar heat can be created in the same way, using large boxes painted black. Gaia Sagrada doesn't really need much in the way of heat, but when it gets a little chilly, solar heat is easy to use. Just turn on the little fan that moves the air through the tubes, and heat comes into the building. If you have been looking for an eco-friendly village or community, Gaia Sagrada is a wonderful choice. It is still in its young years, of course, but as time moves along and Gaia Sagrada continues to create and manifest in physical reality, new and beautiful additions continue to bless people who come to partake of Gaia Sagrada.